Shoalhaven Jazz + Events is division of HomeCrowd Pty Ltd.
Shoalhaven Jazz + Events consists of a small group of passionate and committed volunteers seeking to showcase the region and all it has to offer; from the best in music and gourmet foods, to top class venues with some of the best scenery in Australia. The Shoalhaven has it all and we can offer it to you. Shoalhaven Jazz + Events proudly supports the Les Crosby Memorial Foundation. Les Crosby was an internationally acclaimed, Shoalhaven jazz musician who passed away in 2011. Les always believed in the need to mentor and nurture young talent. Shoalhaven Jazz + Events established the Les Crosby Memorial Jazz Scholarship in 2012 in his memory, to continue his legacy. The annual scholarship is awarded by a judging panel of the City of Shoalhaven Eisteddfod Committee. The scholarship candidates are under the age of 25, performing a jazz piece in the brass section of the Shoalhaven Eisteddfod. Shoalhaven Jazz + Events continues this tradition by awarding the scholarship. The Shoalhaven is situated less than two hours from Sydney and stretches from Berry in the north past Milton and Ulladulla in the south. With a population of approximately 100,000 residents, that triples in holiday periods, the region is one of NSW’s most popular tourist destinations and is well known for beaches and coastal scenery. 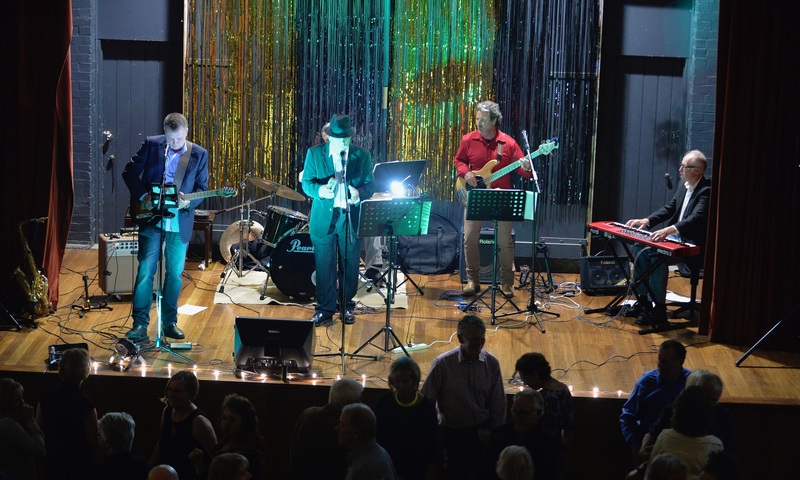 Whether it’s an event you need to organise or you’re looking for a quality music & food event to attend in the region, follow Shoalhaven Jazz + Events either by liking us on our Facebook page or by subscribing to our newsletter. Lovin the bluesie sounds of the Lazy men at Berry….,woohoo!